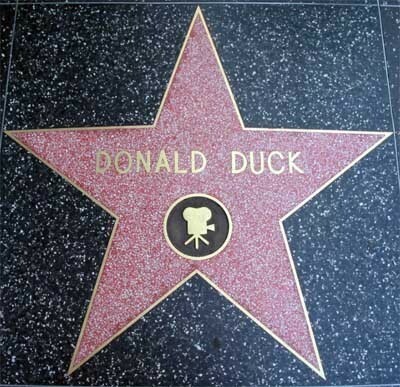 Donald Duck's étoile, star on the Walk of Fame. Donald Duck's étoile, star on the Walk of Fame. Wallpaper and background images in the Donald canard club tagged: donald duck walk of fame disney character star.